Pure Brass Stitching Wire, Hair Pin Wire, Galvanised Wire, Book Binding Wire. 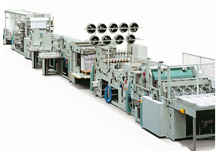 Jyoti Brand Flat Stitching wires are made using premium quality raw materials with latest technology machinery setup for galvanizing and flattening process. 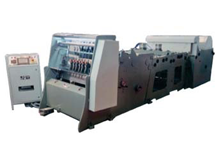 All the stitching wires go through stringent quality checks at all stages of production and before final dispatch to ensure almost zero rejection by the customer. 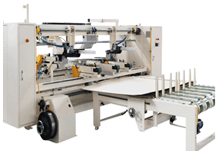 Compatible with all manual, semi-auto as well as fully automatic stitching machines like Insun, Gods Will, Mepl & various other auto stitchers of all make. 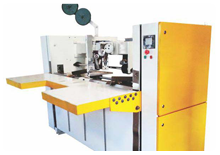 G I Stitching wire is made out of Mild Steel wire coated with Zinc by electro plating process. This wire is the cheapest of all the qualities available & many the corrugators also mostly use it because of its economic viability. 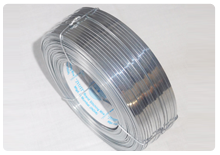 Rust Resistant Galvanised Stitching Wire commonly referred to as RP Wire is also made out of Mild Steel Wire and is plated with more amount of zinc which gives it better coating than regular G.I. Wire. This wire is costlier than the regular one but it fights more against the rusting problem as compared to regular G.I. Wire. 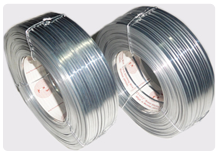 Rust Resistant Power Stitching Wire is also made out of Mild Steel Wire and is plated with heavy amount of zinc which gives it better coating than rust resistant G.I. 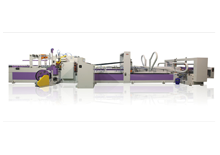 Wire and it is the heaviest coated stitching wire quality. 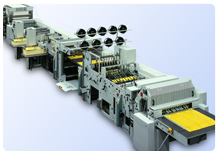 This wire is costliest among G. I. Stitching Wire product but it is also the most effective G.I. Wire which fights against the rusting problem. 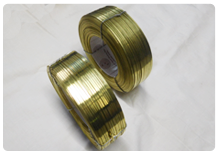 Pure Brass Stitching Wire is made out of Brass Wire, containing pure copper & pure zinc. This wire doesn’t have a single percentage of mild steel in it, which gives you total relief from the rusting problem. This wire also gives you the better finishing due to its bright yellow colour. 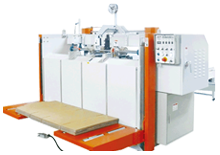 The cost of this wire is higher than other wires made out of mild steel, but by calculating the cost of per pin in your box, you can observe that by spending few more amount, you can save the life of your highly costlier boxes. This is the main reason why many multinational companies have stopped using any kind of steel wires & have started using only brass (or copper) wires in their boxes. 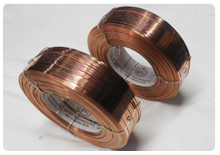 Pure Copper Stitching Wire is made out of Pure Copper. 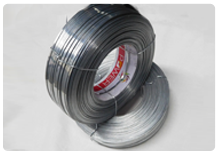 This wire also doesn’t contain a single percentage of mild steel, giving you the complete solution from rusting problem. This wire also costs you almost nearer to the Brass wire. 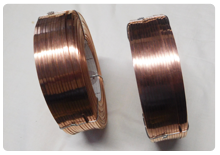 Copper Coated Stitching Wire is made out of Mild Steel Wire, but plated with copper by electroplating process. So in one sense it is almost similar to the regular G.I. Wire which is coated with zinc but gives you a different finishing. These Wires are made out of Mild Steel coated with zinc by Electro Galvanizing process.